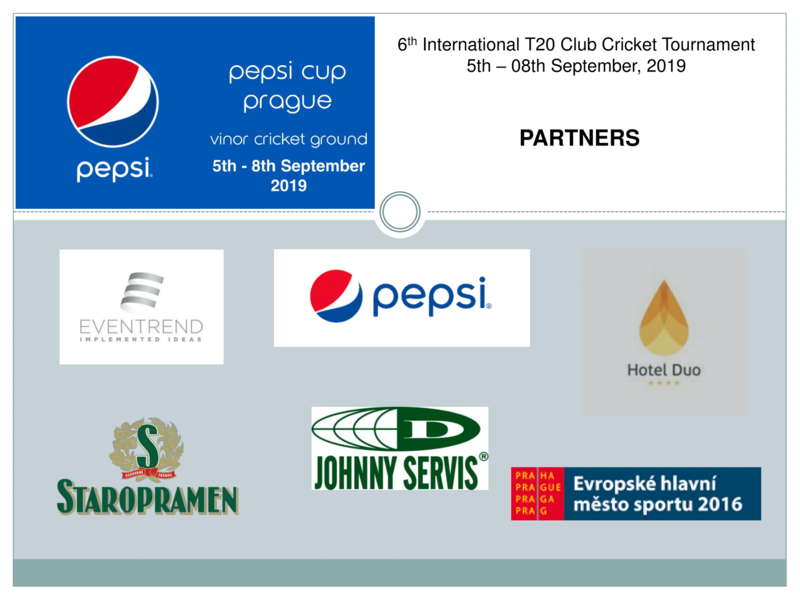 The WCC have once again accepted an invitation to compete in the Pepsi Cup in Prague/CZ. 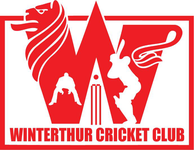 The 2019 tournament takes place at Vinor Cricket Ground just outside Prague from Thursday 5th to Sunday 8th September 2019. The tournament fee is ca. 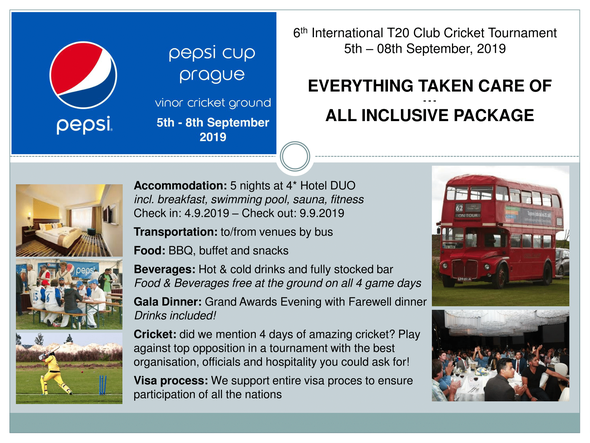 €495 per person which includes accommodation in a 4 star hotel (check in 04.09.2018 - check out 09.09.2018) including breakfast, swimming pool, sauna and fitness, transportation to/from the ground in a London double-decker bus and unlimited food and beverages all day at the ground. 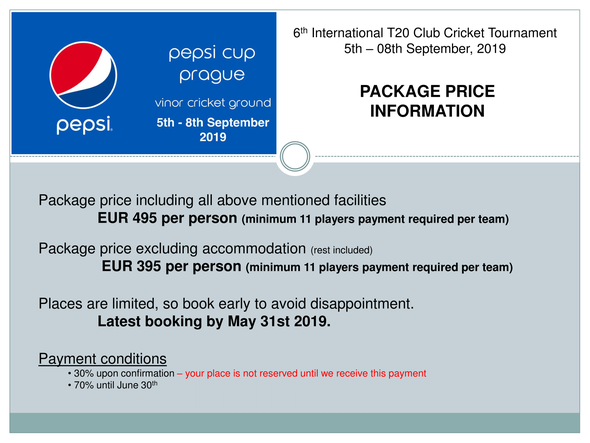 A non-refundable deposit of €200 payable to the WCC is required to confirm your availability. 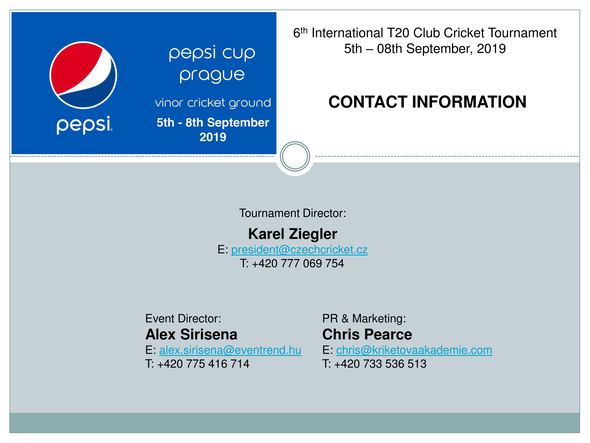 Travel arrangements to/from Pragze are the players' responsibility. Transportation to/from the the Vinor Cricket ground from the hotel is include in the package. 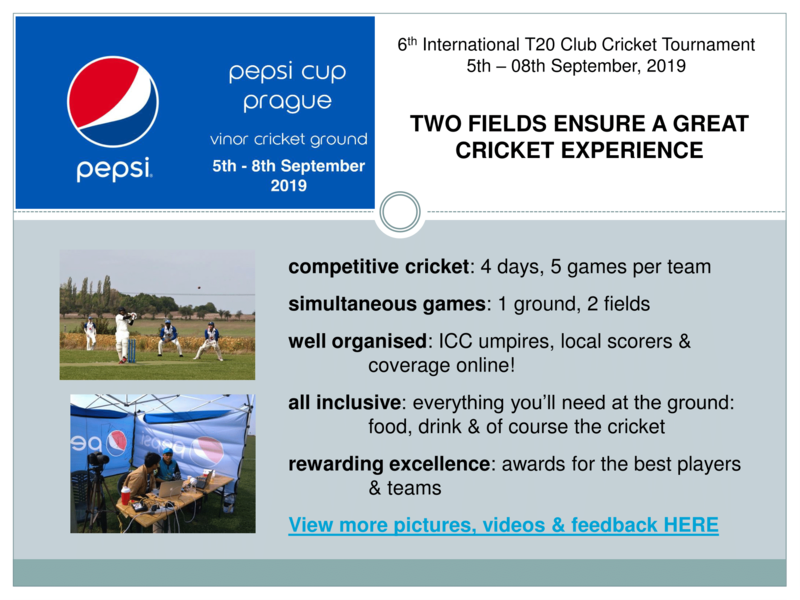 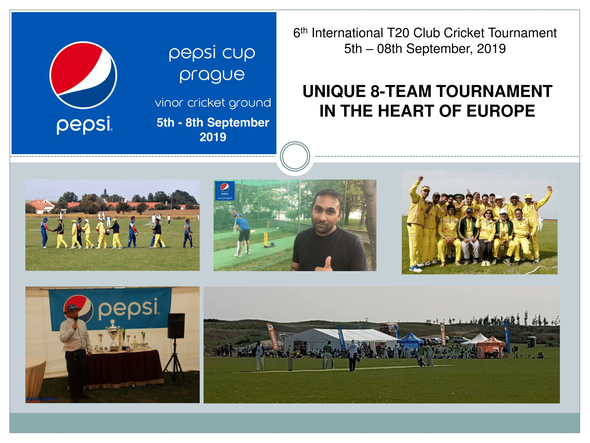 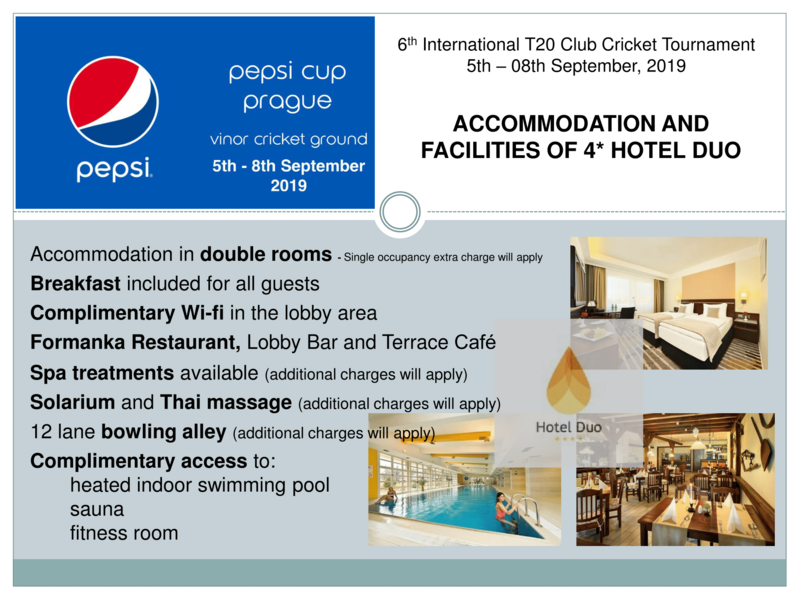 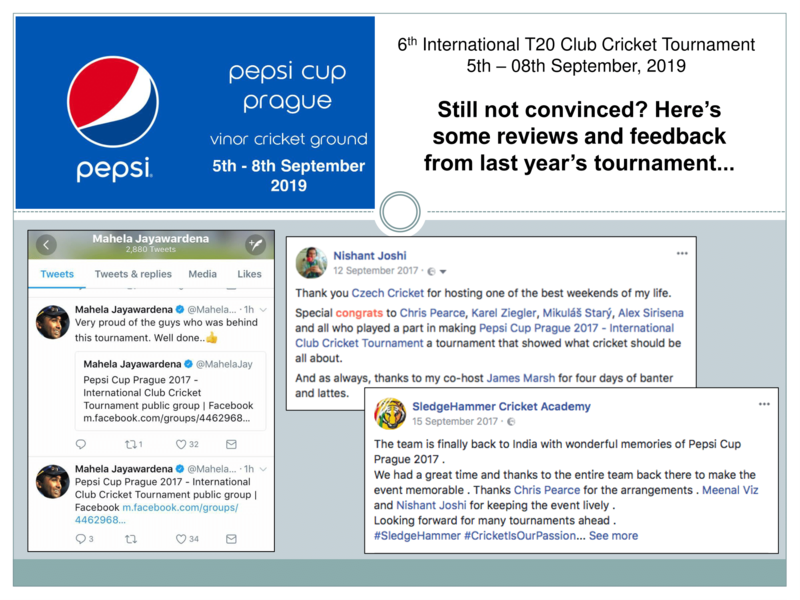 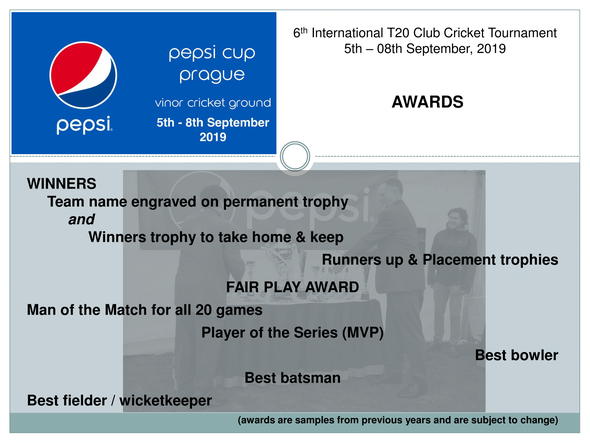 More information about the 2019 Pepsi Cup Prague is available from the Cricket Switzerland website or by email from Mohamed Sameel.